Yep she's a big one!! Scrambled eggs, shredded cheddar, sliced mushrooms, green peppers, pico, hash browns, sausage and bacon served on a warm flour tortilla with our homemade salsa. 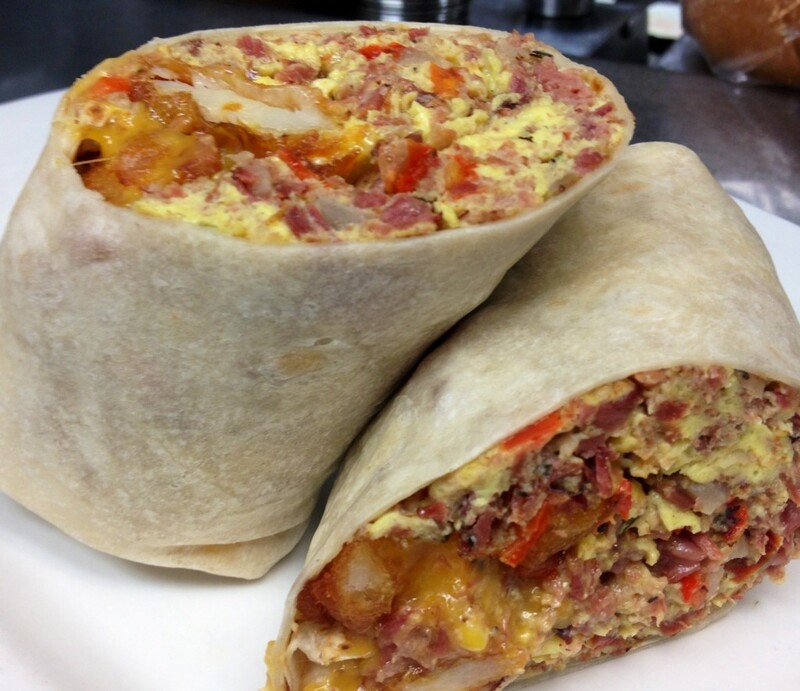 Got a group of Breakfast Burrito lovers plan ahead and order your breakfast burrito platter today!